Nearly every nonprofit organization utilizes at least one event annually to raise money in support of its mission. In all likelihood, you’re vying for the same sponsorship dollars as other organizations in your community. Your opportunities must stand out from the crowd! Sponsorships—particularly corporate sponsorships—are the fundraising dollars least tied to mission. Sponsorship support is often a corporate marketing department decision. Marketing people want exposure and visibility for their dollars. A marketing decision is often less about your mission and more about who (demographically) and how many will be attending your event. Your sponsorship opportunities must clearly communicate what marketers are looking for. Be sure to include: a description of the event, projected attendance, sponsor name or logo visibility (marketers love to see their logo highlighted! ), website and social media recognition, and more. Review sponsorship opportunities from last year’s event. Ensure that your materials outline all possible sponsor logo placements, including event advertisements, signage at the event, listing in program, PowerPoint, and more. How does your organization recognize sponsors? Branding is another way to distinguish your event from others in town. A unique event name and logo will help establish your event as professional and give it staying power. Sponsors want to align themselves with a winning event that occurs year after year. You can freshen things up with a new theme every year, but a constant brand presence will build recognition and a strong base of support. Invest in an event logo and then use this logo consistently in all communications, including your organization’s website, newsletters, staff email signatures and social media. Of course, branding is much more than a logo. 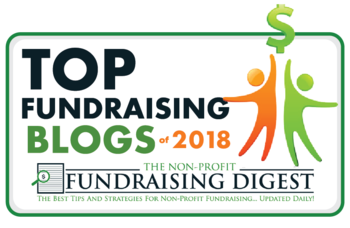 Learn more here: Branding Your Fundraising Event: 4 Tips for Doing it Right. Add your event name, logo and this year’s date to all staff email signatures. If you don’t yet have an event logo, get referrals for a talented graphic designer. What are your thoughts on event logos and how does your organization use them? Your volunteers are a huge asset and have the potential to increase your reach tremendously. If you are a one-person development department or have a small staff, volunteers may be the lifeblood of securing sponsorship support. Consider assembling a Volunteer Host Committee for your event or— to really target sponsorships— a Corporate Sponsorship Committee. A Corporate Sponsorship Committee is tasked with identifying prospective corporate sponsors for your event, soliciting them, and ultimately securing sponsorship dollars. You will support these key volunteers by providing the dynamic sponsorship opportunities discussed in Strategy 1 as well as solid branding. You will also track corporate prospects, help arrange meetings with your corporate targets, prepare materials for these meetings, and coordinate follow-up. Review your Board roster to see who might be a good fit for your Corporate Sponsorship Committee. Generally folks who work in corporations themselves or for companies who do business with corporations (e.g., banks or investment companies) make good prospects for this type of committee. What is your experience with volunteer fundraising committees? Always happy to read your comments! If you'd like to receive Arroyo's fundraising ideas and tips every week in your inbox, sign up here to receive our FREE guide, Conquer Your Fear of Asking for Money!